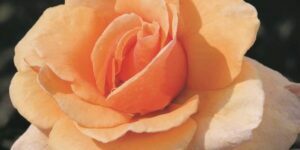 Doubly- Delightful Coloring in a Hardy Tea Rose Double Delight is an award-winning Tea Rose variety with a lot to offer. Plant one as an accent in your garden, or group several for a spectacular border or foundation display. 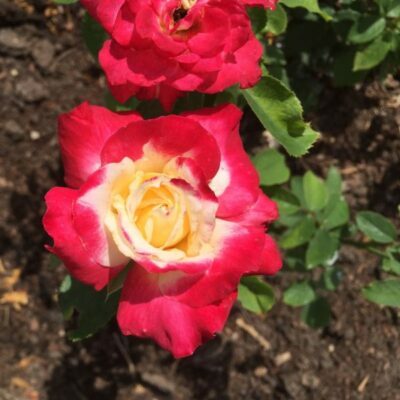 This rose is a “double delight ” of strawberries and cream coloring for your garden. The buds open into 6-inch, creamy white blossoms with a delightful, strawberry-red border gracing each of the double blooms. The crimson coloring becomes more pronounced as the petals unfold, providing you with a color-changing show throughout the season. 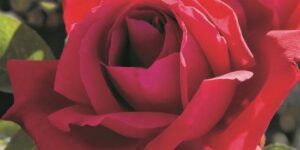 Each fabulous flower has a 35+ petal count, creating a full, fluffy appearance for each of these stunning roses. 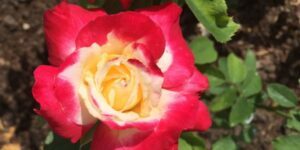 The contrasting colors, and spreading crimson hues that develop with maturity, make this an eye-catching rose that will be a stand-out in your garden. Your Double Delight is a delight in so many ways! 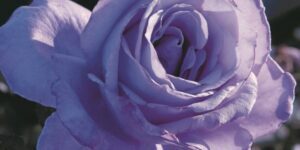 You’ll adore not only your magnificent blooms, but also the strength the long, firm stems that can support more than one rose at a time. The incredible roses bloom all summer long, and produce a spicy perfume that will travel several feet from the bush. 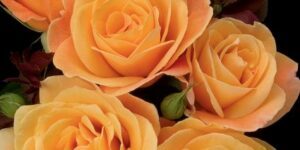 The captivating scent is sure to fill your home also, as these make a wonderful cut flower for your dining room table. 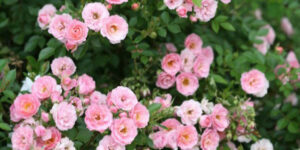 Double Delight Tea Rose will grow to about 4-feet tall. It has an upright nature with a slightly spreading form. The green, matte foliage provides a vibrant appearance for this hardy rose, and it even has good disease resistance. 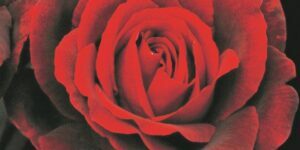 In fact, Double Delight is considered an overall easy rose to grow. 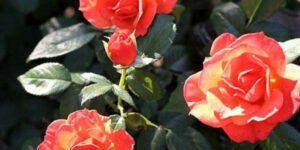 If you love the large size and dramatic color of Tea Roses, Double Delight is a terrific choice. Not only will it amaze you with its sumptuous coloring and fragrance, but its hardy nature and easy maintenance will make it a pleasure to grow.